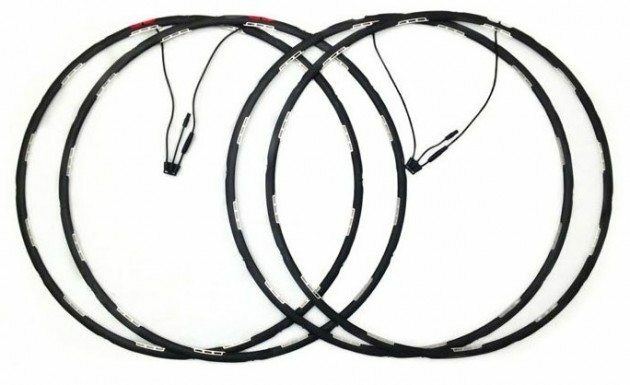 The clever Revolights use two rings that are clipped onto the spokes, just below your rim. These rings have eight, 35 lumen LEDs fitted, that are programmed to switch on as they rotate to the front and off as they go to the back, creating a vertical “light” the height of your wheel. A rechargeable battery pack is mounted on the hub. This is removable and can be charged using a USB; a single charge should last 4 hours. A fork mounted magnet helps orientate the unit so it knows when to switch the LEDs on and off. The light created by the Revolights projects forward but also to the sides, giving great side visibility. This is something that most lights struggle with but with these units there’s no excuse for a driver not seeing you side-on. 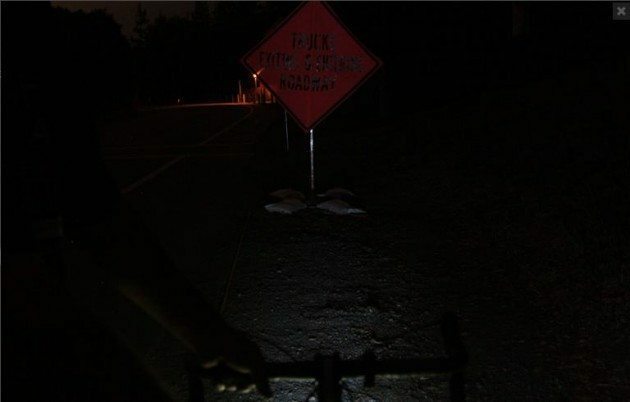 Because the lights are creating a wide, vertical arc of light that has a low point of origin, Revolight claim it can create a ‘height shadow effect, where the height of obstacles in the road can be determined by the length of their shadows’. Fitting is more complicated than a standard light setup, and involves a lot of zip ties, but installation videos are provided to help. A useful feature for commuting cyclists is that Revolights are more resistant to theft than a standard light. I would feel quite happy to leave these on my bike while locked up. I’m not sure how easy it is to change tyres with Revolights fitted; hopefully we can get to test that out. The Revolights are currently only available in North America and only in road friendly sizes. A front or rear set will set you back $139, while the full front and rear are $250.